Combine outdoor adventure with a touch of luxury on this half-day guided tour. 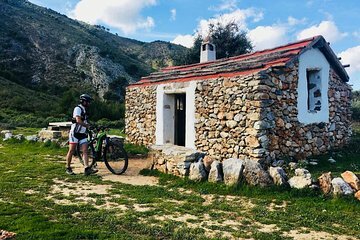 First, board an electric mountain bike (e-MTB) and climb the hills of the Sierra Blanca mountain range. Visit the “Pueblos Blancos” (White Villages), named for their simple hilltop whitewashed homes. The take an exhilarating downhill ride to Marbella to fuel up on tapas and wine.